I am so excited that the daylily is blooming. Last year it didn't have any blooms all summer. Just thought I would do a quick share. They just called to say I have to be at the hospital at 6:30 am. Yikes. I hope I'm awake. I still have a lot to do today so this is definitely a short post. I will be thinking of you tomorrow morning. Keeping you in prayer. I will keep you in my prayers and pray that your knee turns out as good as mine did. 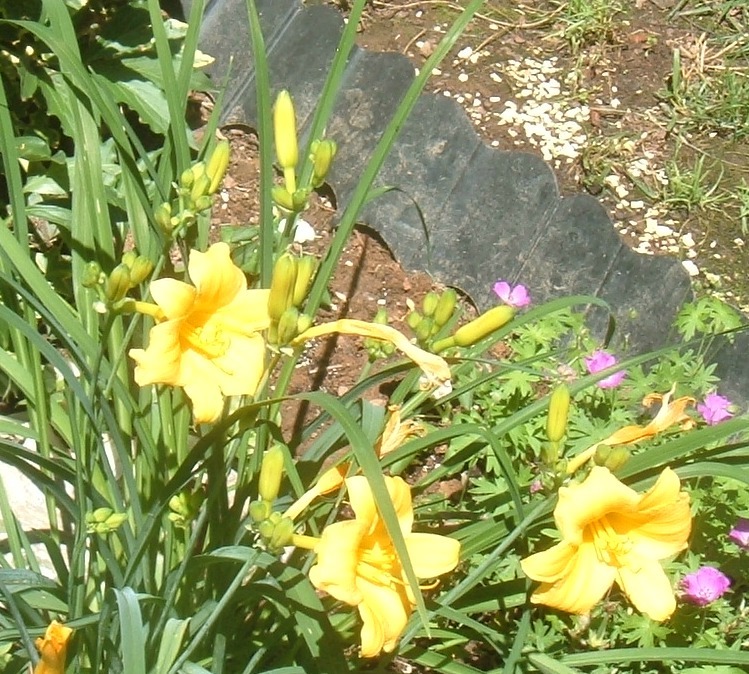 Love day lilies. Will be keeping you in prayer. God bless your surgery, surgeon and staff and post op recuperation! A ray of Sunshine to brighten your down time! Lovely that your lilies bloomed for you! Hoping for a quick recovery for you! 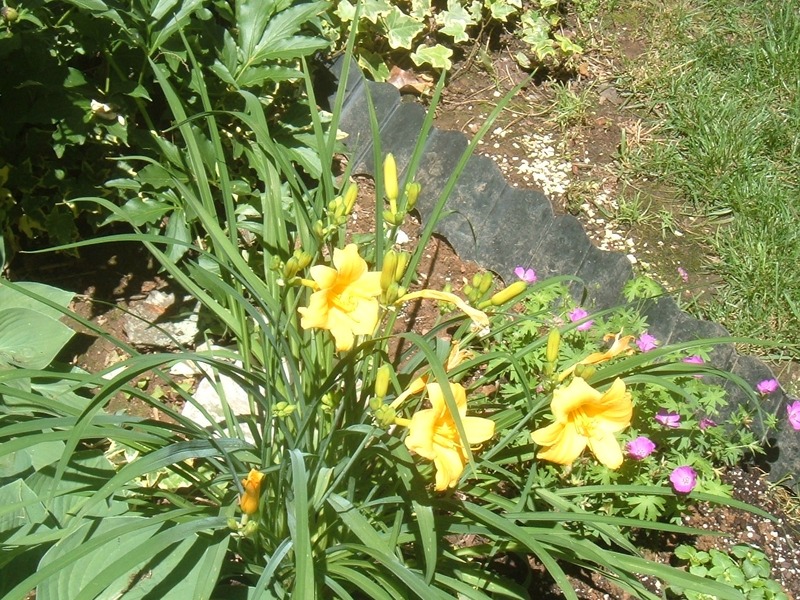 I just moved some of my daylilies to a sunnier spot. Hopefully I'll get some blooms. A good omen -- and PRETTY, too! Good luck Laura! I hope everything turns out well. Best of luck on your surgery. I'll keep you in my prayers. Wishing you a very speedy recovery. My Dad has just gone through hip replacement, and he had a knee replacement years ago....he is doing so much better now. So it's truly worth going through the surgery. Those day lillies are stunning...can't wait for mine to bloom. These are beautiful blooms! I hope all went well with surgery. I've been running a little behind here. :) Keeps us posted!